Our scientists have been individually conducting research for many years, resulting in hundreds of peer-reviewed published articles. At Nurish.Me, we utilize the results of our scientists’ research and combine those results with other findings from clinical and preclinical studies. Thus, our formulations are a culmination of years of rigorous examination by many scientists. Additionally, we scrutinize other peer-reviewed publications where necessary to add other compounds to our formulas that may have not been directly studied by us, but that we know offer efficacy and value. This entire process results in the best products backed by the latest research in nutrition and dietary supplements. Our scientists have long track records of conducting research. Most of the impetus for designing our unique and propriety formulations comes from years of evaluating certain key products and nutrients in clinical trials. CogniNurish® is the culmination of many years of scientific discovery. The field of glycomics teaches us that several polysaccharides that are found in CogniNurish® are vital to maintaining our health. These polysaccharides are used by each cell in the human body to dramatically impact how we ultimately function. 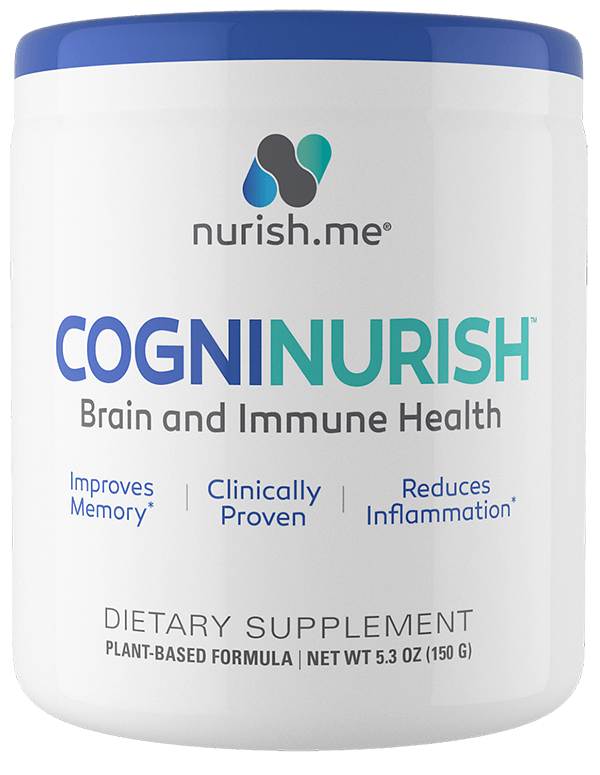 A similar version of CogniNurish® was used in a clinical trial to show that subjects demonstrated better cognitive functioning (ADAS-cog cognition score), reduced markers of inflammation (TNF-α and VEGF), and increased immune system cells (CD14+). These changes enabled subjects to experience renewed ability to recall people, places, and events. Since then, other discoveries have been made about an important molecule called brain-derived neurotrophic factor, which is vital to brain health, and its relationship to measures of cognitive and immune functioning. CoreCumin® is our flagship curcumin product based on years of research with our proprietary platform technology using micelles to enhance its bioavailability and efficacy. The use of micelles in our proprietary technology mimics our own small intestine, which also uses micelles to transport fat soluble substances into the bloodstream. Additionally, most curcumin products on the market suffer from a lack of efficacy because they: (1) do not use a micelle formulation process; (2) have no formulation process or technology to enhance their bioavailability; and (3) are mostly turmeric and have very little curcumin, which is the most beneficial part of the root. Our proprietary platform technology using micelles, which replicates what our body does to facilitate the absorption of fat soluble substances, in a 95% pure extract of curcumin gives you a superior product. If you have read about many of the wonderful benefits of curcumin, e.g., support for improved immune function, joint health, healthy blood sugar level, the cardiovascular system, eye health, mood, digestive health, and fat metabolism, then CoreCumin® is the product for you.